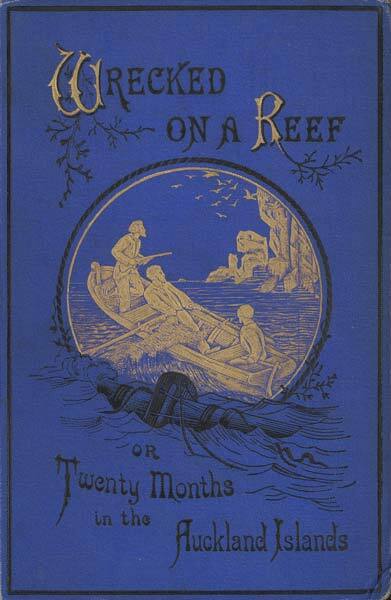 This cover is from the 1880 edition of Wrecked on a reef, which was republished in New Zealand in 2003. F. E. Raynal’s epic account of the wreck of the Grafton and the five castaways’ survival on Auckland Island helped make castaway stories important in maritime folklore. Raynal’s account, first published in French in 1870 and in English in 1874, was used by Jules Verne for his book Mysterious island.